Maybe you've never heard of Nexon or MapleStory, but you've surely heard of Blizzard Entertainment and World of Warcraft, so what if I told you the former has roughly 10 times as many players? No kidding. MapleStory, the 2D, side-scrolling, online multiplayer roleplaying game developed by South Korean company Wizet has over 100 million subscribers worldwide. Go figure. I passed a few questions about the game and Nexon over to Daniel Kim, CEO of Nexon's American division. Here's what he had to say. Game On: Give us a sense of who Nexon is, where you're coming from, what you're up to, and where you're going. Daniel Kim: Nexon has been a pioneer in online gaming since we created the world's first graphic MMO, Kingdom of the Winds, back in 1994 in South Korea. 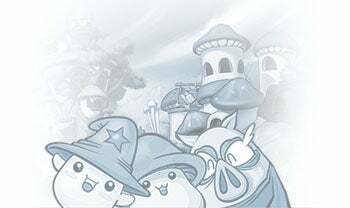 Since then, Nexon has grown to become a global developer and publisher of online games in over 60 different countries. 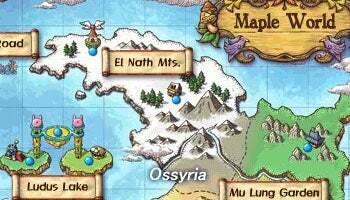 Our North American office was established in 2005 with the launch of MapleStory, one of the most successful free-to-play online games, and we've been at the forefront of innovating the online gaming business here in North America. Since introducing the micro-transaction model five years ago in North America, we've seen double digit growth in revenue every year (from $8.5 million in 2006 to $40.5 million in 2008), and we're very excited to expand our business here with a broad portfolio of highly interactive, community-driven, high quality, free-to-play games this year. We're working hard to continue our growth in North America. In addition to MapleStory, Mabinogi and Combat Arms, we have two games in beta, Dungeon Fighter Online, an arcade style 2D action brawler with the depth and persistence of an RPG, and MapleStory iTCG, our first browser-based, online trading card game. Last week, PopTag!, a hyper, water balloon, action-puzzle game, just came out of beta and is live. We're looking to expand our portfolio further in the second half of the year. GO: You've made huge piles of money off selling stuff that doesn't exist. Talk about that. When did 'virtual asset sales' become a sustainable revenue model? 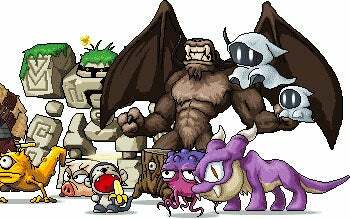 DK: Nexon was the first company in the world to introduce the free-to-play/item-sales business in 2001, and has since changed the global online game industry. 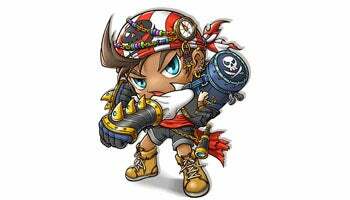 Nexon offers over 30 games throughout the world and all are free to play. Most of the online industry in Asia has switched to the model we've created. 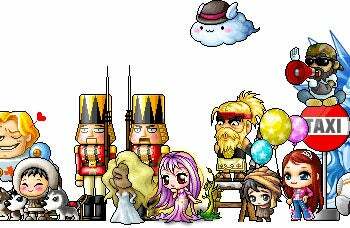 Nexon America sold 28 million items in 2008 and 2.3 million of those sales were for virtual hairstyles and clothing in MapleStory. The real story isn't about virtual sales. The real story is the quality of game play we provide gamers. We have earned their business with compelling, lasting game experiences and relationships which last for years. More players can try our games because there is no cost of entry. We still have to prove to our users there is value enough to invest not only their time, but also their money. GO: How 'free-to-play' are Nexon's games, really? Can you play them to completion without spending anything? Do any of your games require payment to complete? DK: Absolutely free. There are no level restrictions or limits on any of our games and you can enjoy playing them as long as you'd like without spending a dime, which applies to the majority of our players. The items provide conveniences, and the ability to personalize and customize your game experience, but are not necessary to fully enjoy the games. GO: Talk about MapleStory, your biggest online game. If I'm a casual gamer, why should I check it out? What if I skew more toward 'enthusiast'? Also: Will we finally see MapleStory for the DS this year, and will it have more than thematic links to the online PC version? MapleStory DS is for the Korean market only, scheduled for release sometime early this year in Korea. As for now, we don't have plans to launch an English version. GO: What's on the map for 2010? DK: This is a year for growth and expansion. We intend to double our game portfolio. Dungeon Fighter Online, has earned rave reviews while in beta and will be officially launched this year. MapleStory iTCG will also launch this year. PopTag!, the hyper, action-puzzle game launched last week, appeals to a new audience with a casual, arcade-style game play. Of course, there are tons of new content updates and expansions coming to MapleStory, Mabinogi and Combat Arms to keep everyone excited. We also have some new titles which will redefine the free-to-play category this year and will be announcing more details over the next few months. We're also excited to launch our newly branded Web portal, BlockParty.com, this year, which will provide a way for our users to connect with each other outside of our games, and build a stronger community around our games.